The intention for Tai Long Wan is to conserve the historic and archaeological value of the Tai Long Wan area. To safeguard the natural and heritage features and to minimize human disturbance to the sensitive and tranquil environment in TaiLong Wan, only the existing village areas are covered under “V” zones. Additional future demand for Small House development by the indigenous villagers under the Small House Policy would have to be addressed outside the Tai Long Wan area. To ensure that new Small House development would be in harmony with the existing historical village houses and would not affect the integrity of the existing village setting in Tai Long Wan, planning permission is required from the Town Planning Board. This intention was reconfirmed during the 1057th TPB meeting. It was explained by the Director of Planning that the imposition of stricter planning control in the “V” zone of the Tai Long Wan OZP was based, among others, on the consideration that the well-preserved village settlements in Tai Long Wan were of high heritage value. He also explained that the integrity of the village setting was still kept intact and undisturbed, and the village clusters in Tai Long and Ham Tin had high group value for preservation. I agree with this observation. 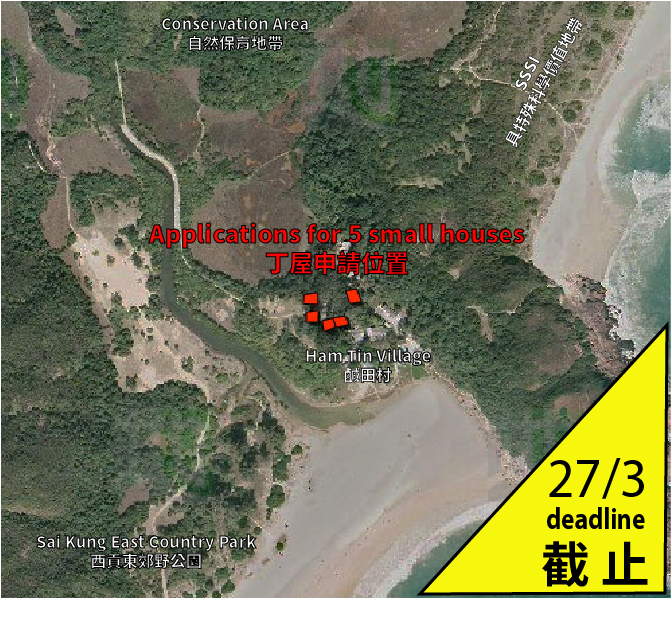 In view of the need to conserve the outstanding natural beauty, ecological significance as well as the natural and built environment of Tai Long Wan, in particular the historic villages and the archaeological site, I urge the Town Planning Board to reject the captioned applications.